Twice a week, Making A Mark gives an insanely talented artist some IADW brag-space. Today goes to Ryan Barger, an American illustrator who has a small but lethally potent online portfolio, of some pretty jaw-dropping sights. Isn't that right Bats? 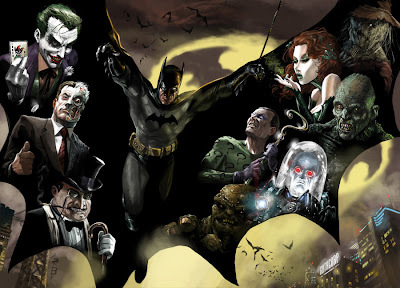 You know a guy has talent when he takes folks as well rendered as the Batman rouges, and digitally draws them in a way that not only makes them seem fresh, but creative as well. Just look at that Riddler!! Obviously a fan of one of Marvel's top 80's artists, Mike Zeck, Ryan's Punisher takes you right back to the days Mike drew the vigilante, while his homage to Zeck's Secret Wars #1 cover may have a few layout tweaks, but Hulk and Storm are still stealing the show! 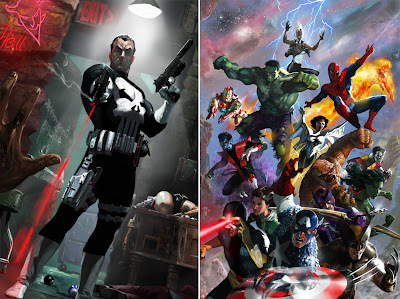 Seeing the two masterworks side by side, you have to ask how would Secret Wars have played out if Frank, Daredevil, Iron Fist, Ghost Rider and Luke Cage were in on the fun? 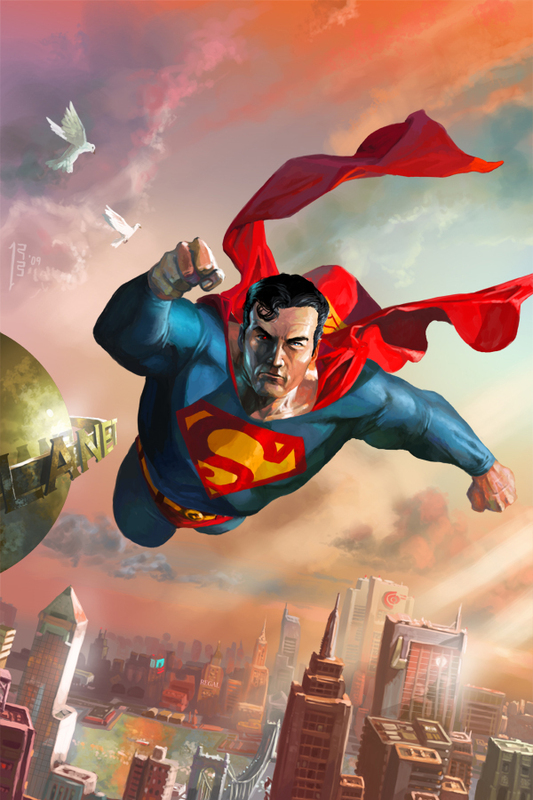 Who better to round out a gallery with than Superman? I dig how he has one eye ready to fire, don't let the sunset heart fool you, this Clark Kent is always ready to rumble! What do you think of Barger's work? To see more, visit his online gallery after the jump. For more Making a Markists, click here. That's mighty fine and impressive art by the very talented Mr.Barger. It's people like this that make me hate my own limted artistic "skills." he's a future "big 2" superstar, mark my words! See what I did there? Have a good/great weekend Dan the man! Thanks Dale mate, you too! I sure think Ryan has A league potential, hopefully he just gets that break.